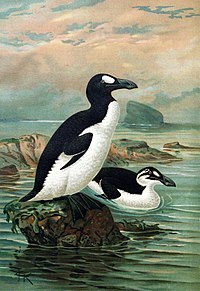 1844: the last of the Great Auks are killed. 1890: Idaho is admitted as the 43rd state and begins to be the punchline for many raunchy potato jokes. 1938: World speed record for a steam railway locomotive is set in England, by the Mallard, which reaches a speed of 126 miles per hour . 1971: Jim Morrison, lead singer of the band The Doors, dies in Paris aged 27. 1996: It was announced in the House of Commons that the Stone of Scone would be returned to Scotland, and on 15 November 1996, after a handover ceremony at the border between representatives of the Home Office and of the Scottish Office, it was transported to Edinburgh Castle arriving on 30 November 1996 where it remains. Why it took 15 days to traverse the isle is anyone's guess. Megabus can get you from Edinburgh to London in 10 hours. And of course, it's the eve of the American Independance Day celebrations. I fondly remember last year when a group of MA students got together for a cookout in the park (American patriotism not required, for it was a British park). One of the best days of my life. In attendance were UK author Sarah Shaw, Drury Lane actress Lynne Wilmot, UK-born Texan teacher Ebeth J., and the lovely, lovely Nicole H. Also attending was fellow Michigan-born Pastor Sean Rippy and his family, Rob 'the best cartoonist you'll ever need' Smedley, Nicole's significant other Jason, dear Bianca, Lynne's dog, and two very unique types of kites. Like I said, one of the best days, ever. Anyway, watching the movie again reminded me of reading the book when I was ten years old. I got a hardcover copy of it for my birthday that year and I read it so much that eventually the pages fell out and the book fell apart. That's not saying much, as kids tend to destroy things, but for a hardcover it's an impressive feat, no? It mysteriously went missing one time after I tidied my room. I remember holding this book and staring at the cover. I must have stared at it for a good hour before I even opened the book. I revered it. It both frightened me and excited me. Then I opened it. Then I turned passed those darn white divider pages. Then past the title page. Then past all that pesky text. And then there it was. All those glorious drawings of dinosaurs. It would take me HOURS to go through that book. I could've spent a whole day just flipping through it I had been let. I even set about learning the footprint language, but since no one else would admit to liking such childish things, I had no one to send messages to. There was something about that footprint language. It was the first time I had ever thought about sharing something about a book. This got me thinking about how I could use Gaelic and Ogham in Tinkers. Kids will want to look this stuff up. If I had google back then, I would have been all over that dino language, shooting messages to kids all over the world who weren't afraid to admit they still read "picture" books with talking dinosaurs in them. Kids love to send messages in code. Remember pig latin and thinking you were the smartest kid in the world when you spoke it? How about Ralphie in A Christmas Story with his Little Orphan Annie 'Ovaltine' message? yeah. They dig it. Any author that uses languages in their books could use this to their advantage. 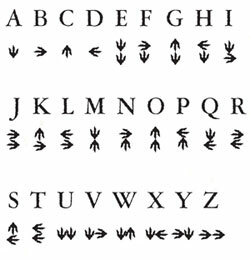 While Gaelic is fairly common, finding an Ogham font is a bit of a dig. Offer a font on your website. Kids these days can install them in less than 30 seconds and begin to shoot off messages in less than a minute. Maybe you create your own language? Adobe Illustrator, along with an inexpensive font creator can be used to create fonts that can then be distributed (for free). Then during your debut or maybe just a marketing push, use the font as some sort of contest. Post messages in code around the web and have readers decode the messages to get a prize. 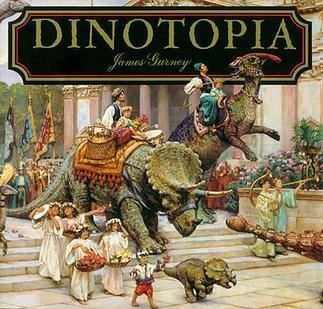 And i'm still not afraid to admit that I like picture books with talking dinosaurs in them. in fact, I just purchased a copy on eBay. I'm just that dorky. Oh, and happy 4 July from Mollie and I.
I think you mean, "From Mollie and me," but back at you. Here's to many happier fourths. And thanks for giving me the title 'the best cartoonist you'll ever need'. That made me feel very happy. Plus, that pic of you and Mollie is super-cute! I was watching this Undiscovered America thing on the travel channel about Alaska and Hawaii this morning and it made me think of you! Rob, it was mostly back in third grade that kids would go around asking other kids 'Idaho or Youdaho?' and then getting backhanded by their parents. If you can make a cartoon out of that, go for it. I never skip your cartoon posts. I might not have a chance to comment on them (and I have no idea about that Kismet Hardy one) but I never skip them. You've got a great talent there. And thanks! You're super-cute, too! Everyone needs to head over to Rob's blog and check out his potato joke cartoon. It's amazing! And addicted to my dog Mollie. 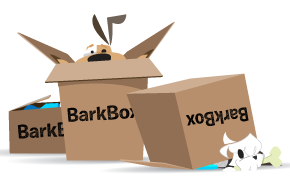 Help me earn BarkBoxes for MolliePup! Sign up using my code and we'll BOTH get a FREE box! Design & content by Cassandra Marshall. It's okay to reprint my words as long as you link back. Simple theme. Powered by Blogger.